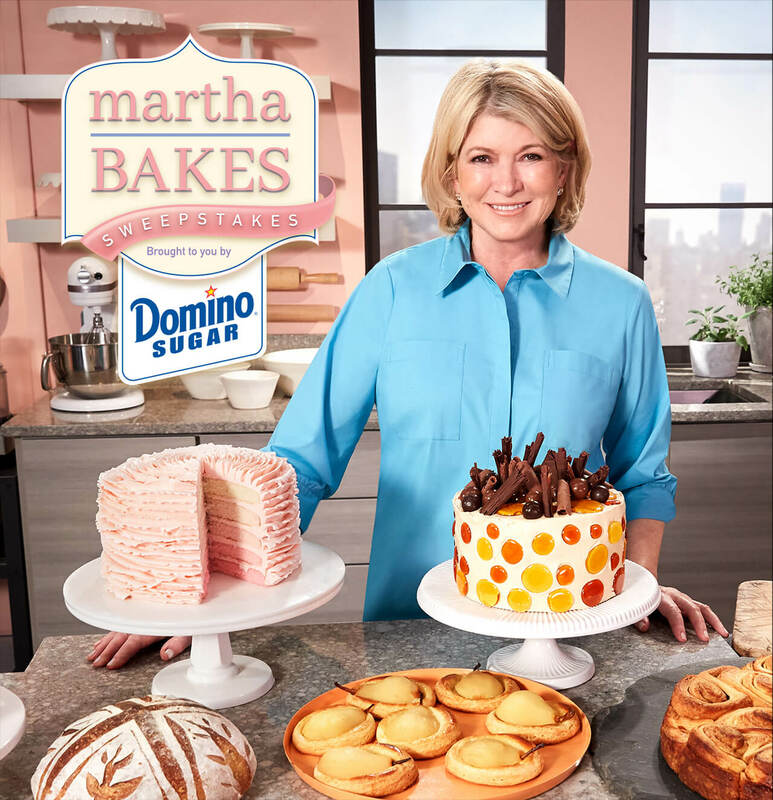 You Could Win a Trip to NY and Meet Martha! Enter today for a chance to be our grand prize winner, as well as the chance to win weekly prizes! Domino Sugar wants to give you the opportunity to win the ultimate grand prize! Submit your entry today for the opportunity to attend a live taping of Martha Stewart's Emmy®-nominated cooking show, Martha Bakes in New York. Our lucky winner will also get an exclusive meet and greet with America’s most beloved expert and teacher. Thank you for your participation in the Martha Bakes Sweepstakes. The sweepstakes ended on September 12th but you can learn more about Domino Sugar’s exclusive Martha Stewart Recipes by clicking below.